“I have to admit, I’d never even heard of [author James] Patterson’s work and I hadn’t seen any of the movies,” the 78-year-old stage and screen legend said during interviews for the film last weekend. The title character, made famous by Morgan Freeman in two previous adaptations of Patterson’s book (“Along Came a Spider” and “Kiss the Girls”), is taken over by filmmaker Tyler Perry in this latest incarnation, which opens nationwide on Oct. 19. Matthew Fox is the serial killer villain who pushes Cross to the edge of his moral and psychological limits when he kills the detective’s wife. Tyson plays Cross’ grandmother Nana Mama, so named because she functioned as both his grandmother and mother. Alex went to live with her at age 9, after his father died of alcoholism a year after his mother died of lung cancer. Below, Tyson describes how director Rob Cohen had to explain to her the popularity of Patterson and his Alex Cross character, that her good friend Morgan Freeman had played him twice before, and the one thing that eventually convinced her to sign on for the project. Below, Cicely Tyson as Nana Mama tries to stop Alex from leaving to avenge the murder of his wife. Love Cicely but , she could have used a bit of plastic surgery 20yrs ago. She always had that loose skin look. I just love her though. 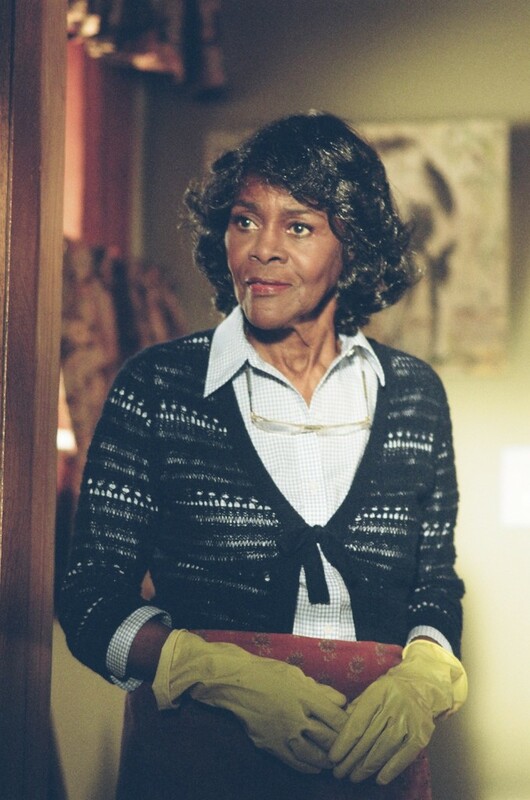 As a die-hard fan of the Alex Cross’ books, I was hoping Ruby Dee would be cast as Nanamama. Based on how the character is written and described in the books, I think Ruby Dee is the better fit for the role. I’m still on the fence about going to see the movie because Tyler Perry is terribly miscast as Alex Cross. I’m still SMH wondering why Idris Elba stepped away from the role after Patterson announced he was cast.